Fellow birders, we need to clean up our act. The trash talking must stop. As in most hobbies that people are passionate about, the birding culture is full of catch phrases and insider jargon. Most of it is harmless enough. We discuss lifers and megas. We pish and we chase. We never fail in our pursuits, but we often dip. Still, we keep on ticking and twitching. Sometimes, however, the words we use are poorly chosen. This hit home after reading Kenn Kaufman’s piece in a recent issue of Bird Watcher’s Digest. Titled “Trashbird Miracles,” Kaufman recounted several occasions when, as a young birder, some older and wiser birders dismissed certain species as “trash birds.” One person he met actually used the term to describe a male Northern cardinal. From now on, that goes for me as well. A trash bird refers to any bird that’s too common and too ordinary to be worth watching. 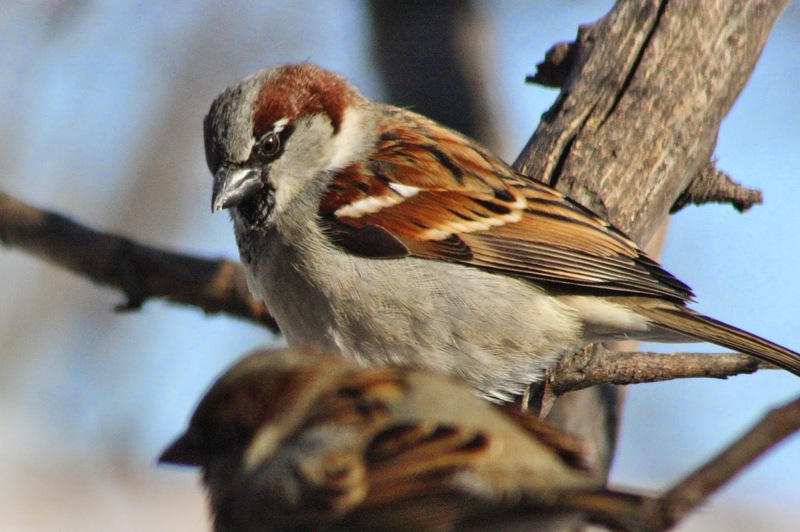 Species like house sparrow, rock pigeon, European starling and Canada goose come to mind. We tend to dismiss them and move on to the next bird. Sometimes the expression is applied tongue in cheek. 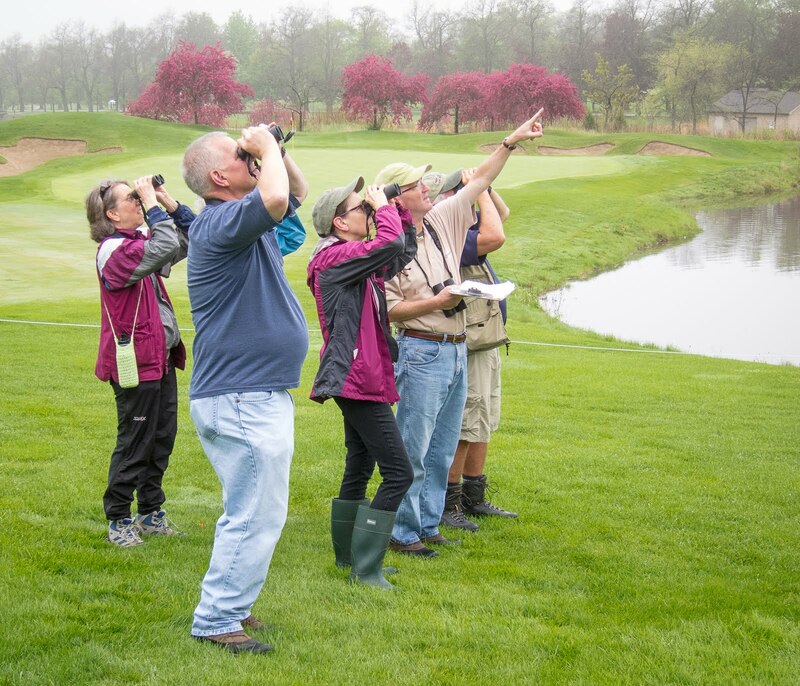 A few years ago I was with birders on the Cantigny Golf course in May. It was spring migration and the most abundant bird of all was palm warbler. Gobs of the little twitchy-tails were hopping around on the short grass in every direction we looked. One birder remarked that on this day, palm warbler was a trash bird. Well, the idea of any warbler being a trash bird is preposterous. It was said in jest. But it makes me wonder, did the inexperienced birders in our group get the joke? And that’s the whole point, which Kaufman so eloquently explained. As birders, the worst thing we can do is discourage new birders by making arrogant comments that label certain birds good or bad. Our hobby needs all the birders it can get, casual or serious. The more people who care, the better for birds. Every new birder is a potential conservationist. We should be watching and enjoying all the birds, even the common ones. Some are more attractive and fascinating than others, but all deserve our attention. “People forget that starlings are birds, too,” Roger Tory Peterson once said. Trash bird may not be the only term we need to deep six. In a letter to the editor praising Kaufman’s trash bird story, a woman wrote that even birders who use the phrase “good bird” are practicing snobbery and elitism. I agree with that to a degree, but it’s a matter of nuance. Sometimes “good bird” is used and intended in a very positive sense. If a friend reports finding a cerulean warbler I might say, “Wow, that’s a good bird!” I think most watchers would interpret that to mean good as in uncommon and hard to find. One more example: the January issue of a newsletter I receive contained a brief report on the nature center’s 2014 Christmas Bird Count. “The best bird was an orange-crowned warbler,” declared the second sentence. It was a notable winter sighting, I agree, but was it the “best” bird for all participants? Who decided? Was a poll taken? Maybe I’m being too sensitive, but the impressions we make upon beginning birders and especially young birders may be long lasting. The words we use are important. I have to say, 99 percent of all birders seem to get it. They are courteous to their fellow watchers and helpful to fledgling birders. They enjoy sharing the hobby and showing people new birds—even the ones they’ve seen themselves a thousand times before. Most of us even have a sense of humor. Given the way we act, dress and speak, it’s good if we can laugh at ourselves. I’m pretty sure the birds are laughing, too.